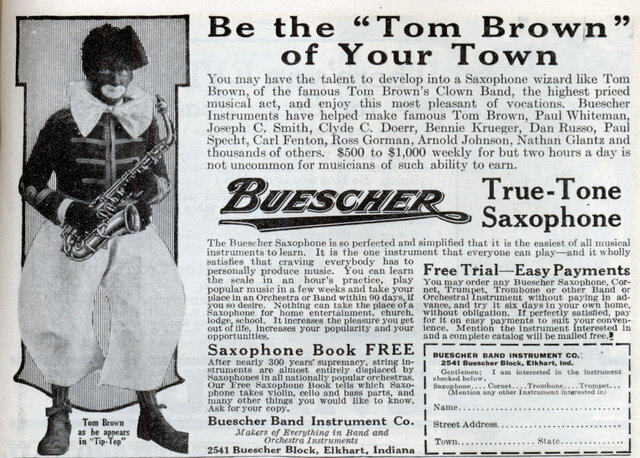 You may have the talent to develop into a Saxophone wizard like Tom Brown, of the famous Tom Brown’s Clown Band, the highest priced musical act, and enjoy this most pleasant of vocations. 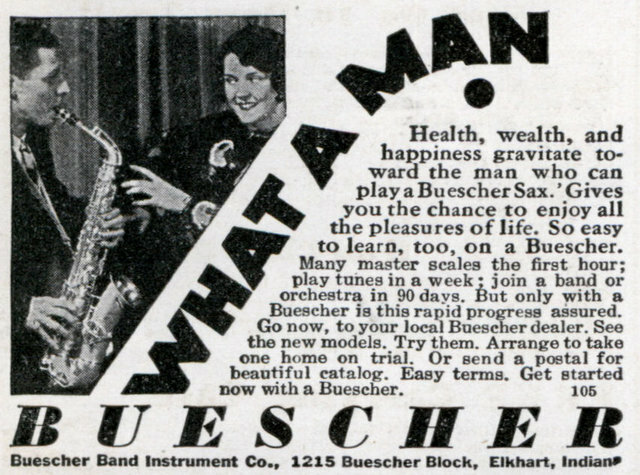 Buescher Instruments have helped make famous Tom Brown, Paul Whiteman, Joseph C. Smith, Clyde C. Doerr, Bennie Krueger, Dan Russo, Paul Specht, Carl Fenton, Ross Gorman, Arnold Johnson, Nathan Glantz and thousands of others. 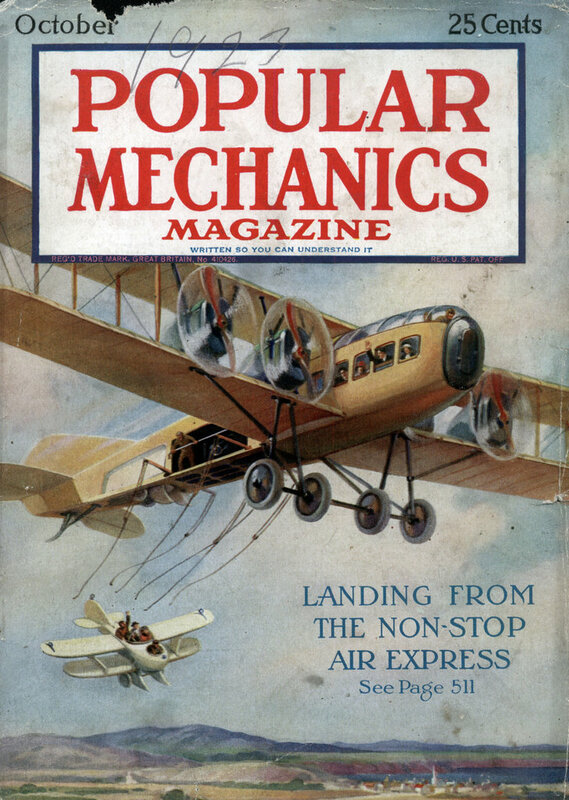 $500 to $1,000 weekly for but two hours a day is not uncommon for musicians of such ability to earn.